MLK DAY CLINIC - January 15 - Cost just $25! Girls-only training from 9:00am - 11:30am. Open to all girls born 2003 - 2011! Boys-only training from 12:30pm - 3:00pm. Open to all boys born 2003 - 2011! 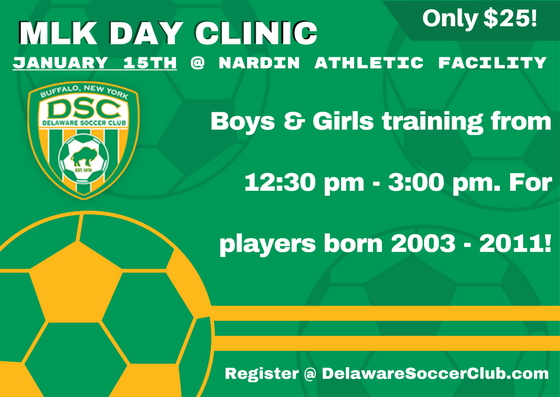 Held at Nardin Academy Athletic Facility.